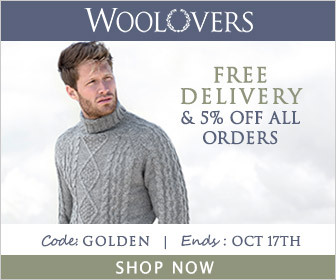 Wool Overs weekly promotion this week is 5% Off and Free Delivery on all orders until 17th October with offer code GOLDEN. To qualify customers have to apply this code at the checkout. 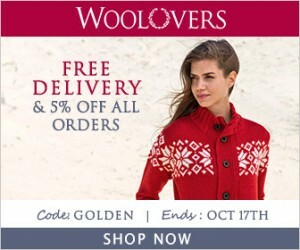 Usually, free delivery is our best converting offer and this time we added 5% off extra. As weather is getting colder this is the best time to sell some jumpers and earn commission on every sale. SAVE £6 on Autumn Pre-Planted Containers! If you just don't have the time, facilities or display areas you needn't miss out on glorious Autumn and Winter colour! These containers come straight to you already planted with our Jersey nursery grown plants in special compost. All you have to do is position them and water - much easier! They are made from specially created light and re-usable plastic and we use compost with added feed and water absorber which will last all season. What's more, they are fantastic value at just £12.99 for 1 Pre-Planted Container or Buy 2 & SAVE £6 - that's just £9.99 each! Our Pre-Planted Containers will be despatching from mid September to the end of October. 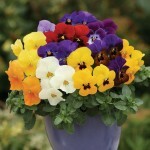 Pansy Colourburst 2 Pre-Planted Containers just £19.98! 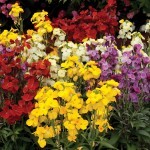 Wallflower Wizard 2 Pre-Planted Containers just £19.98! 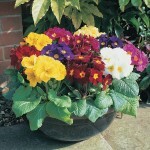 Polyanthus High Seas 2 Pre-Planted Containers just £19.98! Hardy Petunia Autumn Leaves 2 Pre-Planted Containers just £19.98! 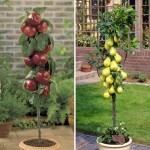 2 Patio Fruit Trees just £19.99! Grow your own Apples, Pears, Cherries & Plums.... it's easy! With our step by step care instructions these mini trees of well known Apple, Pear, Cherry and Plum varieties are simple to grow and are ideal for gardeners with limited space, producing an abundance of healthy, delicious fruit from a single stem. 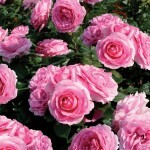 You can easily control the height and spread you want them to be, making them ideal for the patio or small garden. They can also be grown organically if you wish. Despatched at approximately 50cm in height, they are ready for immediate planting and will produce delicious crops of fruits in the following years! Our Patio Fruit Trees will be despatching from mid October to the end of November. 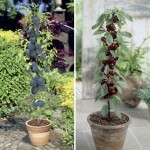 Cherry Sylvia & Plum Black Amber 2 Patio Fruit Trees 9cm Pots, Only £19.99! Golden Delicious Braeburn 2 Patio Apple Trees 9cm Pots, only £19.99! 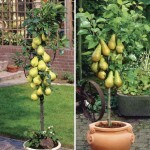 Conference Doyenne du Comice 2 Pear Trees 9cm Pots, only £19.99! 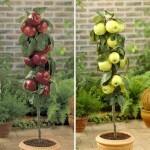 Apple Golden Delicious & Pear Conference 2 Patio Trees 9cm Pots, Only £19.99! 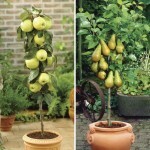 Apple Braeburn and Pear Doyenne du Comice 2 Patio Trees 9cm Pot, just £19.99! 24 Jumbo Plants from just £11.99! From just £11.99 for 24 Jumbo Plants, they are fantastic value for money and can be planted straight out into your garden borders, hanging baskets and containers. What's more they are quicker to establish and flower, than smaller sized Bedding Plants, leaving you with less work and more time to relax while you watch them blossom into their full winter glory! Our Super Ready Plants are despatching now until the end of October. 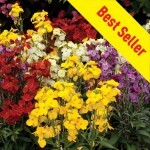 NEW Variety: Wallflower Wizard 24 Jumbo Plants, only £11.99! 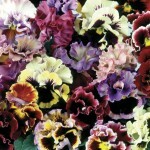 Pansy Can Can 24 Jumbo Plants, only £11.99! 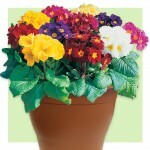 Primrose Rainbow 24 Jumbo Plants, only £12.99! 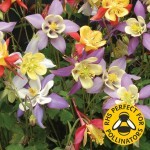 Viola Ochre (Trailing) 24 Jumbo Plants, only £12.99! 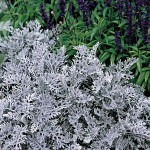 Stock Autumn Fragrance 24 Jumbo Plants, only £12.99! 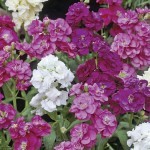 Sweet William Fragrant Fever 24 Jumbo Plants, only £12.99! 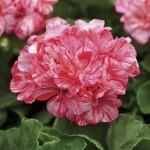 Popular Perennials from just £9.99 for 12 Large Plants! 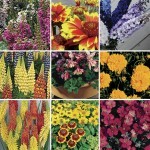 Buy 12 Get 12 HALF PRICE on ALL Popular Perennials! Perennials are not only the one of the most reliable ways of guaranteeing colour in your garden every summer but offer amazing value too with prices from just £9.99! Or why not take advantage of our FANTASTIC Offer? Buy 12 get 12 Half Price! All you need to do is plant a perennial once for beautiful displays year after year! Our Popular Perennials are grown in individual cells and measure approximately 8-14cm in height, from the root of the plant to the top of the stem. They are despatched later on in the season as we have grown them to a larger size for you and are ready to be planted straight out into the garden! Order today for despatch from September to October! 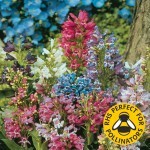 Penstemon Magical Mix 12 Large Plants, just £9.99! Not Sure which Perennials to Order? Why not Order a mix? We're having massive Free Delivery offer until 21st August on all styles including Sale items. 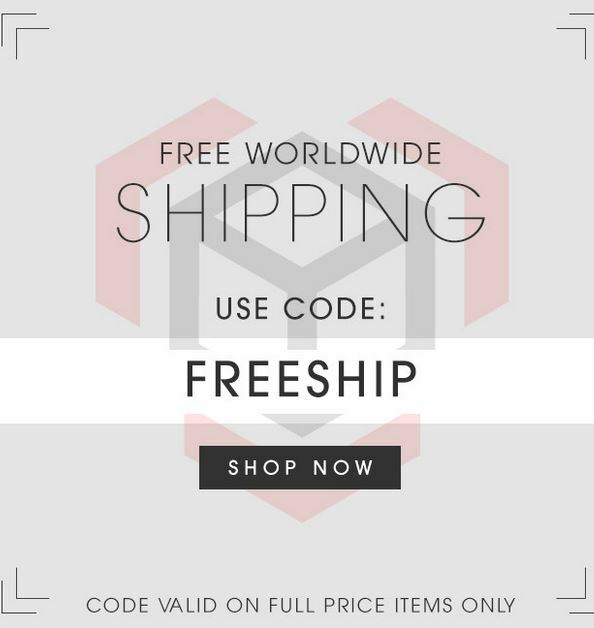 To qualify for Free Delivery customer has to enter offer code FREEWW at the checkout. We have added new banners so do not hesitate to use them to promote this offer as Free Delivery. Great Money Saving Offers... the more you buy the more you save! Our Jumbo Plants, also known as our 'Premium Bedding Plants' are fantastic value for money with offers starting from just £9.99 for 6 Jumbo Plants. These plants are robust, cutting grown in generous sized cells which can be planted straight out into the garden! Perfect for achieving quick results! Our Premium Bedding Plants are despatching from mid August to October. 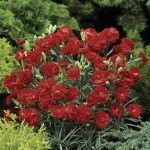 Carnation Can Can 6 Jumbo Ready Plants, just £9.99! 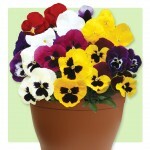 Pansy Cool Wave 6 Jumbo Ready Plants, just £9.99! 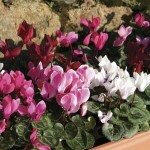 Mini Cyclamen Patio Collection 6 Jumbo Ready Plants, just £9.99! 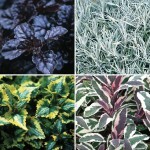 Autumn Foliage/Filler Collection 6 Jumbo Ready Plants, just £9.99! 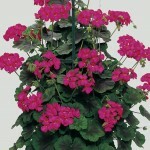 Primrose Two Tu 6 Jumbo Ready Plants, just £15.99! 24 Large Plants from just £11.99! From just £11.99 for 24 Large Plants, they are fantastic value for money and can be planted straight into your borders, hanging baskets and containers. What's more, they are quicker to establish and flower than smaller sized Bedding Plants, leaving you with less work and more time to relax while you watch them blossom into their full Winter glory! Our Large Plants are despatching from mid August to the end of October. Order today, for guaranteed earliest despatch! 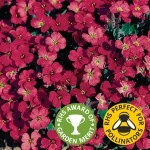 Wallflower Wizard 24 Large Plants, Only £11.99! Pansy Can Can 24 Large Plants, Only £11.99! 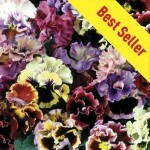 Viola Valentino 24 Large Plants, Only £12.99! 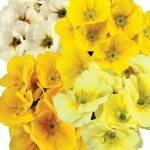 Primrose Sunshine 24 Large plants, Only £12.99! 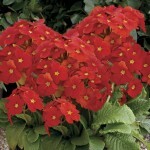 Polyanthus Red Ribbon 24 Large Plants, Only £12.99! 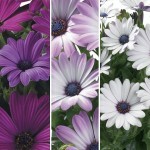 Cineraria Silver Dust 24 Large Plants, Only £12.99! 1 Pre-Planted Autumn Hanging Baskets just £12.99! Save Time and Money By Ordering Our Pre-Planted Autumn Hanging Baskets - perfect for brightening up and adding some much needed colour during the Winter to your patio, garden and conservatory! Each Hanging Basket comes straight to you pre-planted – all you have to do is position them and water. Much easier! They are made from specially created light and re-usable plastic and we use hand packed compost with added water retaining Raingel and plant feed which will last all season! What's more they are fantastic value for money at just £12.99 for 1 Pre-Planted Hanging Basket or Buy 2 for just £19.98 and SAVE £6!!! Our Pre-Planted Hanging Baskets will be despatching from September to the end of October. 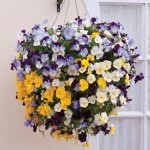 Pansy Cascadia 1 Pre-Planted Hanging Basket, just £12.99! 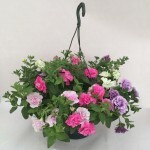 Mixed Floral (Autumn) 1 Pre-Planted Hanging Basket, just £12.99! 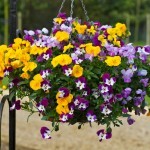 Viola Ochre 1 Pre-Planted Hanging Basket, just £12.99! 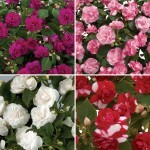 £2 OFF all 9cm Shrubs - Prices from just £5.99 + FREE Delivery! Our 9cm pot Shrubs have been grown in our Jersey Nursery, under expertly managed conditions. They are ready to plant and mature enough to have an instant impact on your garden with many varieties flowering in their first year! What's more they are fantastic value for money with £2 OFF all our 9cm Shrubs meaning you can now purchase all your favourite Shrubs from just £5.99 + FREE Delivery! Order Today for despatch within 10 days of receipt of order! 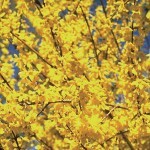 Forsythia Minigold 1 Plant 9cm Pot just £5.99! 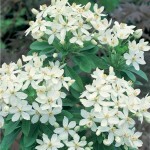 Choiysa Ternata (Mexican Orange Blossom) 1 Plant 9cm Pot just £5.99! 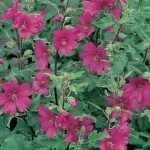 Lavatera Burgundy Wine 1 Plant 9cm Pot just £5.99! 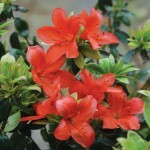 Azalea Orange Beauty 1 Plant 9cm Pot, just £7.99! 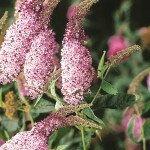 Buddleia davidii Pink Delight 1 Plant 9cm Pot just £7.99! 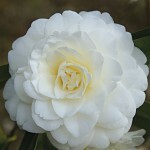 Camellia japonica Alba Plena 1 Plant 9cm Pot just £7.99! 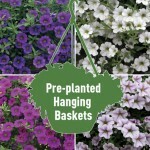 2 Pre-Planted Summer Hanging Baskets just £19.98 - that's just £9.99 each! If you just don't have the time or facilities you needn't miss out on glorious Summer colour! These hanging baskets come straight to you complete with our Jersey nursery grown plants which will be delivered "in flower" for instant Summer colour! All you have to do is hang them up and water. Much easier! They are made from specially created light and re-usable plastic and we use compost with added water retaining Raingel and feed which will last all season! They will be despatched within 10 days of receipt of your order. 2 Petunia Tumbelina Pre-Planted Hanging Baskets, only £19.98! 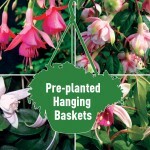 2 Fuchsia Trailing Mix Pre-Planted Hanging Baskets, only £19.98! 2 Petunia Million Bells Trailing Mix Pre-Planted Hanging Baskets, only £19.98! 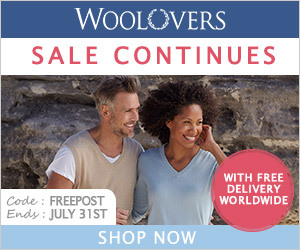 We're having massive Free Delivery offer until 31st July on all SALE styles. To qualify for Free Delivery customer has to enter offer code FREEPOST at the checkout. We have added new banners so do not hesitate to use them to promote this offer as Free Delivery, usually, has the best conversion. 9cm Pot Summer Bedding Plants from UNDER £3.50 each! These 9cm pot summer bedding plants have been grown on by our experts, in our Jersey nursery so you don't have to! Quick and easy! 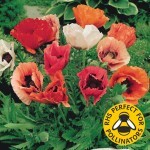 They are ready for immediate planting into your garden borders, baskets, patio pots and window boxes. All you need to do is plant, water and feed. Then just sit back, relax and enjoy a colourful summer display within days! Our 9cm pot summer bedding plants are guaranteed to give you fast tracked displays with plants arriving "in flower". They are fantastic value for money with offers at just £9.98 for two 9cm Pot Summer Bedding Plants + 1 FREE plus FREE delivery! That's just £3.50 each! ORDER NOW for Immediate despatch! 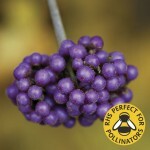 Beauty Berry Profusion 1 Plant 9cm Pot was £7.99, Now Only £5.99! 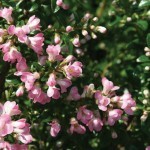 Escallonia Rubra Apple Blossom 1 Plant 9cm Pot was £7.99, Now Only £5.99! Forsythia Mini Gold 1 Plant 9cm Pot was £7.99, Now Only £5.99! 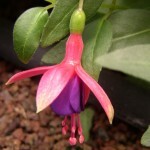 Hardy Fuchsia Tom Thumb 1 Plant 9cm Pot was £7.99, Now Only £5.99! 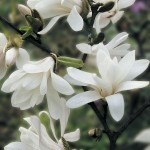 Magnolia Stellata 1 Tree 9cm Pot was £11.99, Now Only £9.99! 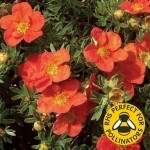 Potentilla Red Ace 1 Plant 9cm Pot was £7.99, Now Only £5.99! 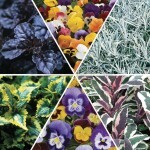 50 Autumn Ready Plants from only £12.99 + 20 FREE - that's less than 19p each! Our Ready Plants can be grown on or planted out at your own convenience and from only £12.99 for 50 Plants + 20 FREE that's superb value too! 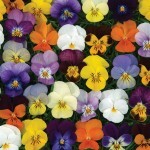 Choose from a wide variety of Pansies, Violas, Primroses, Wallflowers and many many more! 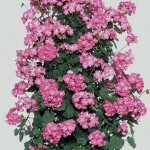 Our Ready Plants will be despatched from mid August to the end of October. Order today for guaranteed earliest despatch! 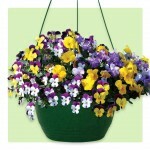 Pansy Can Can 50 Ready Plants + 20 FREE, only £12.99! 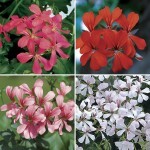 Wallflower Wizard 50 Ready Plants + 20 FREE, only £12.99! 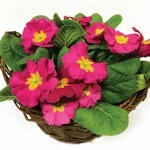 Polyanthus High Seas 50 Ready Plants + 20 FREE, only £15.99! 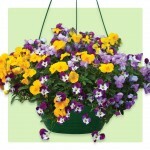 Viola Colourburst 50 Ready Plants + 20 FREE, only £13.99! 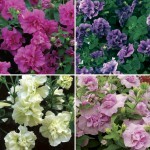 Stock Autumn Fragrance 50 Ready Plants + 20 FREE, only £13.99! 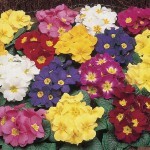 Primrose Sunshine 50 Ready Plants + 20 FREE, only £14.99! Autumn Pre-Planted Containers just £12.99 each or Buy 2 for just £19.98 and SAVE £6!! Our Pre-Planted Containers are filled with everyone's favourite Winter Bedding Plants and are delivered direct to your door - all you need to do is position them and water! They are made from specially created light weight, reusable plastic and we use hand packed compost with added plant feed and water absorber which will last the whole season! What's more they are fantastic value for money at just £12.99 for 1 Pre-Planted Container or Buy 2 for just £19.98 and SAVE £6!! Our Autumn Pre-Planted Containers will be despatched from mid September to the end of October. NEW! Hardy Petunia Autumn Leaves 1 Pre-Planted Container, just £12.99! Pansy Colourburst 1 Pre-Planted Container, just £12.99! 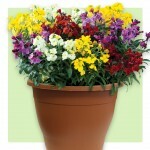 Wallflower Wizard 1 Pre-Planted Container, just £12.99! 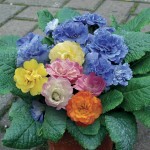 Polyanthus High Seas 1 Pre-Planted Container, just £12.99! You told us, we listened. Following the launch of hmv.ie, our hmv Ireland store on Affiliate Window the other day, we’re delighted to announce the launch of hmvireland.co.uk, the UK side of our hmv Ireland store. Offering tens of thousands of CDs, DVDs, Blu-rays and games for FREE home delivery to UK postcodes (when spending over £9.99). For the first 60 days of the programme, we’re offering an increased commission of 5% to all our affiliates on either of our hmv programmes (end date 30th August 2014, normal commission 2%). Not only that, but for every 10 sales you make, your name will be entered into a prize draw to WIN! a PlayStation 4. The winner will be chosen at random on 16th September 2014. Today we have Zero Dark Thirty for today only for just £2.99 / €2.99. Each day, our XVMarketplace customers can get one title – for one day at an extremely silly price. And you can generate additional sales for a WOW! deal. Bonmarché’s free standard UK delivery code is still on through midnight on Saturday! The summer collection has just been released from the UK’s leading value fashion retailer for women in sizes 10-24. Offering everything from summer dresses to swimwear, t-shirts to workwear at affordable prices, Bonmarché has something for everyone. We’d like to thank everyone who participated in our May incentives! If you haven’t heard, you can still have a go: promote Bonmarché in a newsletter, homepage feature, or blog post to be entered into the prize draw, with chance to win your choice of a £200 voucher or £100 cash! Email us with proof of promotion to enter. Also, any publisher that gets their first sale by May 31st will also be eligible for increased commission through July 31st, and will be entered into a drawing to win choice of a £100 voucher or £50 cash. We’ll be announcing the winners next week, so check back to see if you’ve won! Please get in touch with any requests, queries or opportunities. Bonmarché is currently offering free standard UK delivery, which has already seen record sales over the holiday weekend. This is great for featuring womens’ summer essentials, including a great collection of cropped trousers, tummy-control swimwear or the many options for wedding outfits! This is your final chance to participate in our May Incentive prize draws or chance to receive increased commission for the next 2 months. Promote this code in a newsletter, homepage feature, or blog post for entry into the prize draw. Win for your choice of a £200 voucher or £100 cash! Email us with proof of promotion to enter. If you receive your first sale as a Bonmarché publisher during May, you’ll also be eligible for increased commission through July 31st. This means you’ll get 12% commission for new customers and 6% for existing on all sales, and will be entered into a drawing to win choice of a £100 voucher or £50 cash. Please get in touch with any requests, queries or opportunities! Free P&P starts Sunday, Last Chance to Enter Drawings for up to £200! Bonmarché is offering free standard UK delivery beginning Sunday, May 25th. This is the perfect offer for featuring womens’ summer essentials, like the online-exclusive swimwear collection or the many options for wedding outfits! Any publisher that promotes Bonmarché will receive increased commission to 12% for new publishers and 6% for existing publishers for the month of May. This will also enter you for the prize draw, for a chance to win your choice of a £200 voucher or £100 cash. Just email chris@clearnewmedia.com with a copy of the newsletter, screenshot of the webpage, or other proof of the feature to enter. Also, publishers who make their first Bonmarché sale in May will receive increased commission through July 31st. This means you’ll get 12% commission for new customers and 6% for existing on all sales, and will be entered into a drawing to win choice of a £100 voucher or £50 cash. Mothers Day Floral Gifts from just £10.99 + FREE Milk Chocolate Hearts! 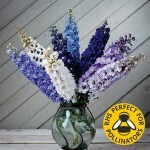 This year, make Mothers Day even more special with a beautiful floral gift from Gardening Direct! Each gift comes complete with your own personal message, FREE 'Jersey's Finest' milk chocolate hearts and FREE Delivery to mum from Jersey! If you want to make your Mothers Day gift extra special, then why not add some delicious Jersey Fudge or a box of luxury Jersey Biscuits, made from local ingredients and guaranteed to delight any lucky recipient! Or if you prefer, why not add a cuddly teddy bear to make your gift complete! 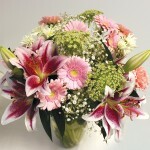 All Orders must be received by Monday 24th March for delivery in good time for Mothers Day. 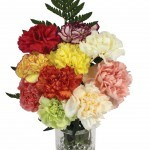 Mixed Carnations 10 Stems + FREE Milk Chocolate Hearts, just £10.99! 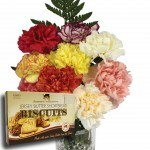 Mixed Carnations 10 Stems + Jersey Biscuits + FREE Milk Chocolate Hearts, just £14.98! Classic Hand Tied Mothers Day Bouquet + FREE Milk Chocolate Hearts, just £24.99! Mothers Day Pink Primrose Basket + FREE Milk Chocolate Hearts, just £14.99! 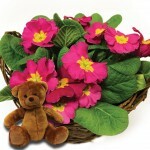 Mothers Day Pink Primrose Basket + Teddy Bear + FREE Milk Chocolate Hearts, just £19.98! Mum in a Million Rose + FREE Milk Chocolate Hearts, just £15.99! Don't forget we off FREE Delivery on EVERYTHING! And we also have a great commission structure offering affiliates up to 20% on sales. Our Jumbo Ready Plants, also known as our 'Premium Bedding Plants' are fantastic value for money with offers starting from just £9.99 for 6 Jumbo Ready Plants. Our Premium Bedding Plants are despatching from late March to the end of May. Order by the end of March to receive your plants by the end of April! Petunia Tumbelina 6 Jumbo Ready Plants, just £10.99! 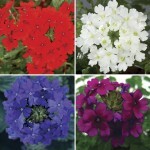 Verbena (Trailing) 6 Jumbo Ready Plants, just £10.99! 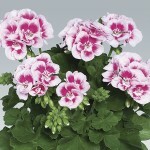 Geranium Mixed Ivy 6 Jumbo Ready Plants, just £10.99! 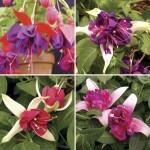 Fuchsia Giant 6 Jumbo Ready Plants, just £9.99! 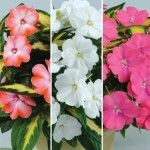 Busy Lizzie Double 6 Jumbo Ready Plants, just £10.99! 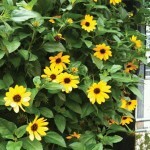 Trailing Sunflowers 6 Jumbo Ready Plants, just £10.99!